Police officers who shot and killed an innocent Brazilian mistaken for a suicide bomber will not face criminal charges, but London's Metropolitan Police will be prosecuted for violating health and safety laws, prosecutors said Monday. Jean Charles de Menezes, 27, was killed by police on a London subway train last July. The shooting occurred two weeks after four suicide bombers killed themselves and 52 commuters on three subway trains and a bus, and a day after a failed set of attacks. Police, who have apologized for the killing, said later they had mistaken de Menezes for one of the suspects in the failed attacks. 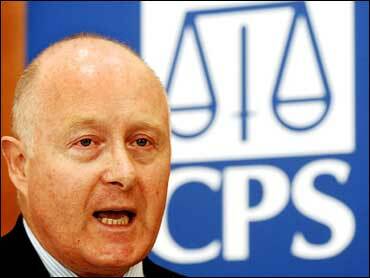 Stephen O'Doherty, senior lawyer from the CPS Special Crime Division, said there was no realistic prospect of convicting any officer of a crime. "I concluded that while a number of individuals had made errors in planning and communication, and the cumulative result was the tragic death of Mr. de Menezes, no individual had been culpable to the degree necessary for a criminal offense," he said. "The two officers who fired the fatal shots did so because they thought that Mr. de Menezes had been identified to them as a suicide bomber and that if they did not shoot him, he would blow up the train, killing many people," he added. O'Doherty read a statement to reporters but took no questions. Before the announcement, a spokesman for de Menezes' family said they "will be very, very disappointed if no officers are held to account for their actions." The spokesman, Asad Rehman, was responding to media reports suggesting no officer would be charged. "The family do not think health and safety regulations are an appropriate way to hold the police accountable over this issue," said Rehman, speaking for the Justice4Jean campaign group. "They will be considering all their legal options to ensure that somebody is answerable in a court of law." O'Doherty said "operational errors" indicated there had been a breach of duties owed to the public under the Health and Safety at Work Act 1974 by the Office of Commissioner of Police. "I have authorized a prosecution under that Act," he said. Jan Berry, chairman of the Police Federation, called the decision "just, fair and difficult." "We must never forget the hurt and devastation caused to the de Menezes family by the tragic and fatal shooting of Jean Charles last year," Berry said. "This tragedy took place at an unprecedented time for British policing and in the wake of a new and unrivaled terrorist threat." "The burden of responsibility on the police service to avert further attacks was tremendous, and on that fateful day that burden was passed on to a few individual officers who will have to live with the consequences of their actions for ever more," he added.